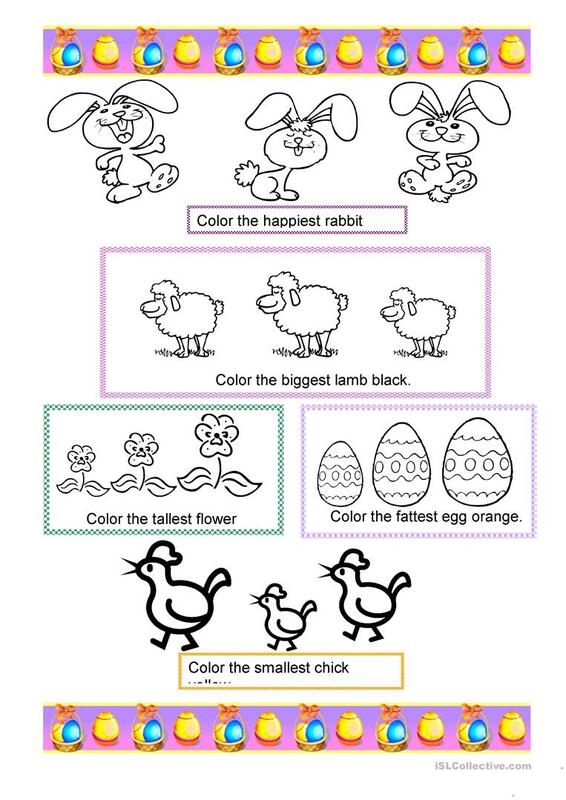 This is a nice coloring worksheet related to Easter. Children can practice colours and superlatives. The above downloadable handout is meant for elementary school students and kindergartners and nursery school students at Beginner (pre-A1) and Elementary (A1) level. It is valuable for teaching Comparison (comparative and superlative) in English, and is excellent for strengthening your learners' Reading skills. It is about the vocabulary topic of Colours. csagi is from/lives in Hungary and has been a member of iSLCollective since 2011-03-17 21:07:28. csagi last logged in on 2014-12-12 11:36:48, and has shared 3 resources on iSLCollective so far.